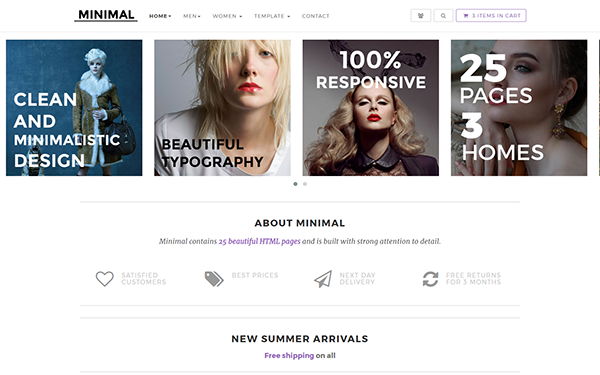 Minimal is minimalistic responsive e-commerce template built with Bootstrap 4.0.0. It stands out with its clean design and elegant typography. This template includes 25 HTML pages, all in 7 colour variants so you should have everything you need to start developing a new e-commerce website. We designed this theme to be simple, easy to navigate so your customer will not get lost amongst zillion of various elements on the page.